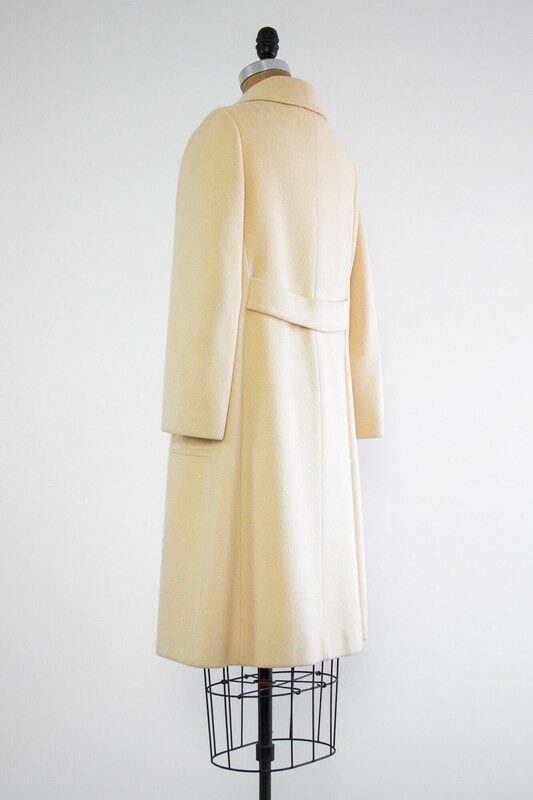 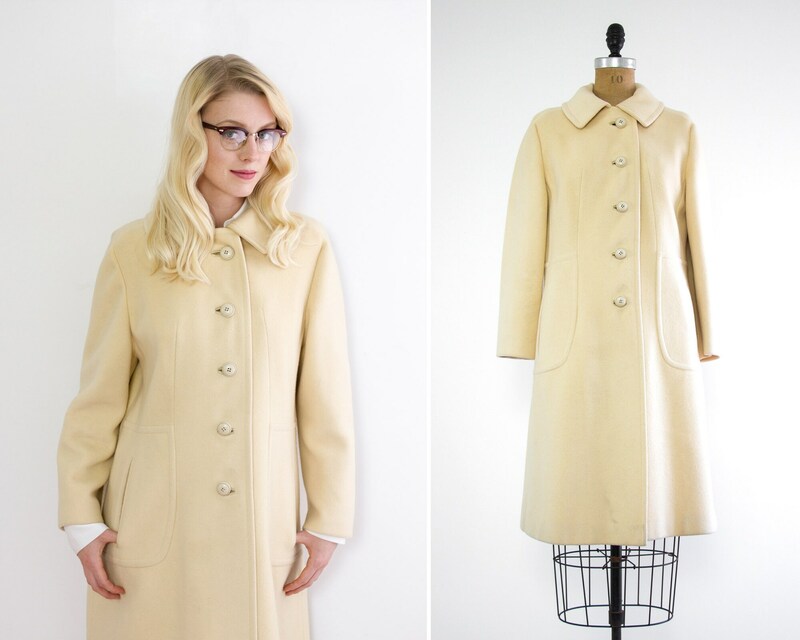 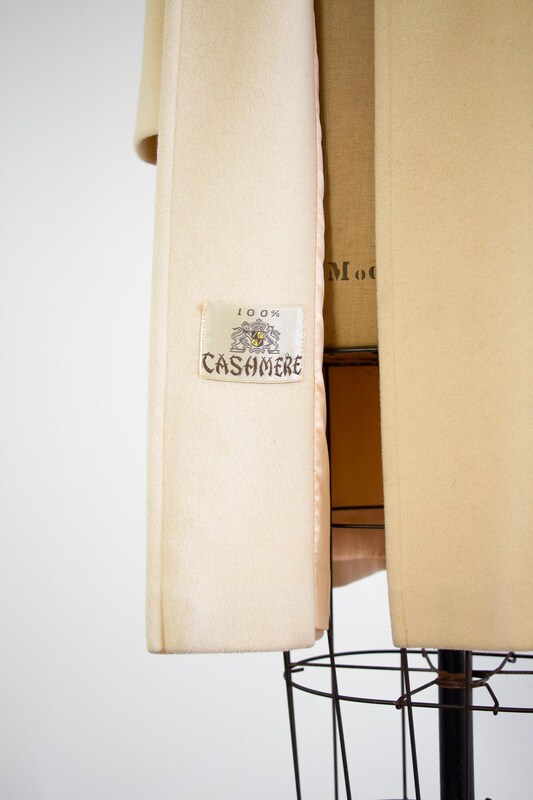 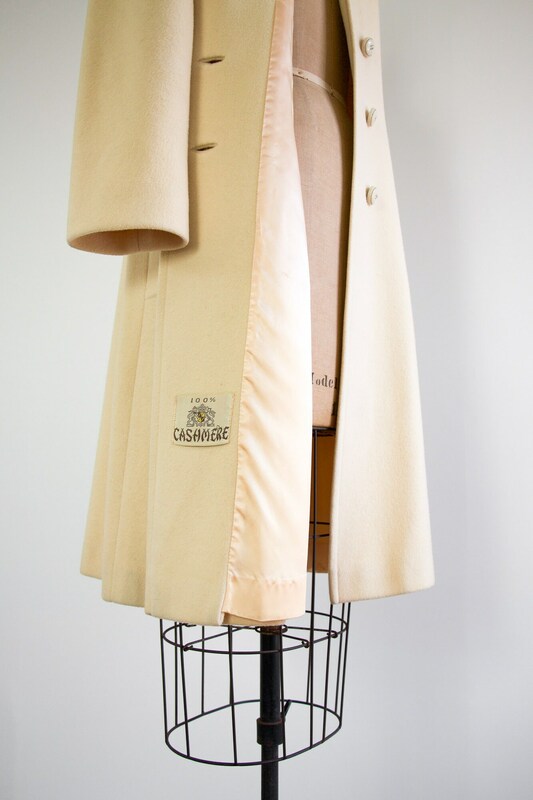 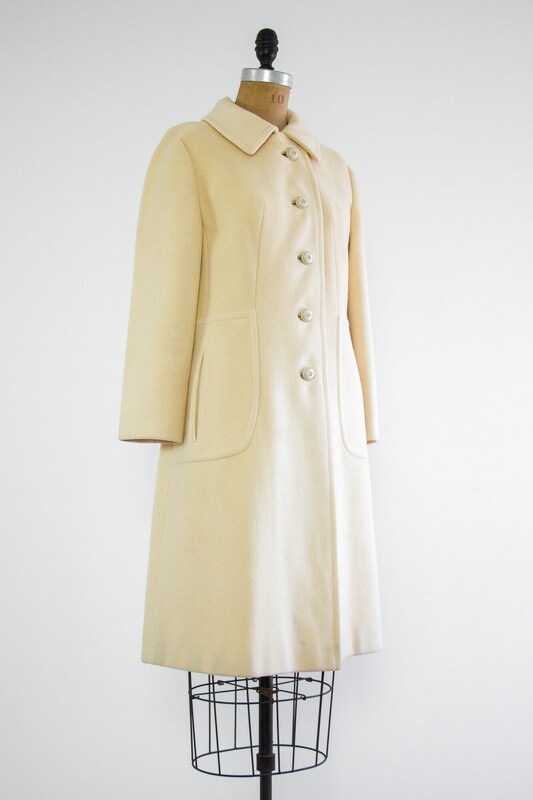 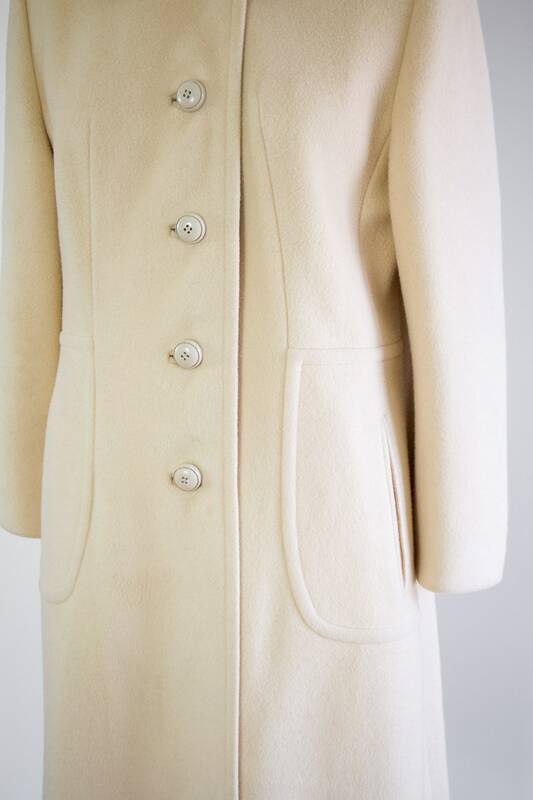 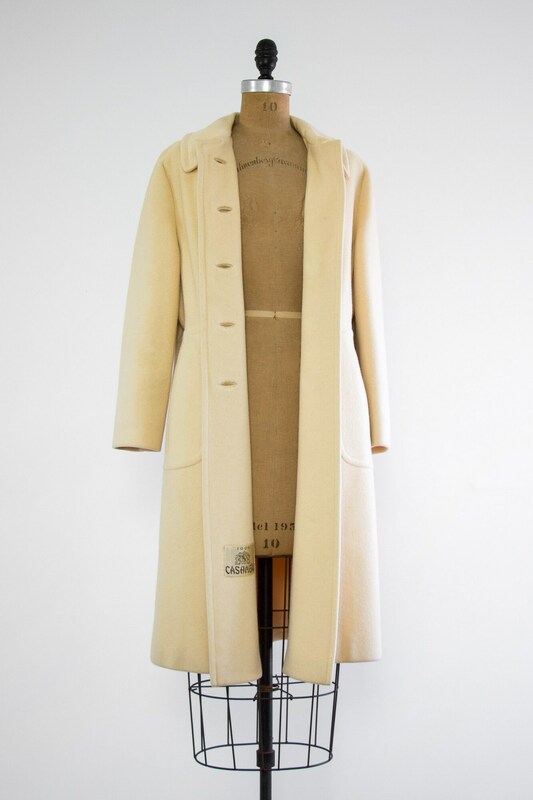 Vintage 1960s mod cashmere coat in buttercream yellow. 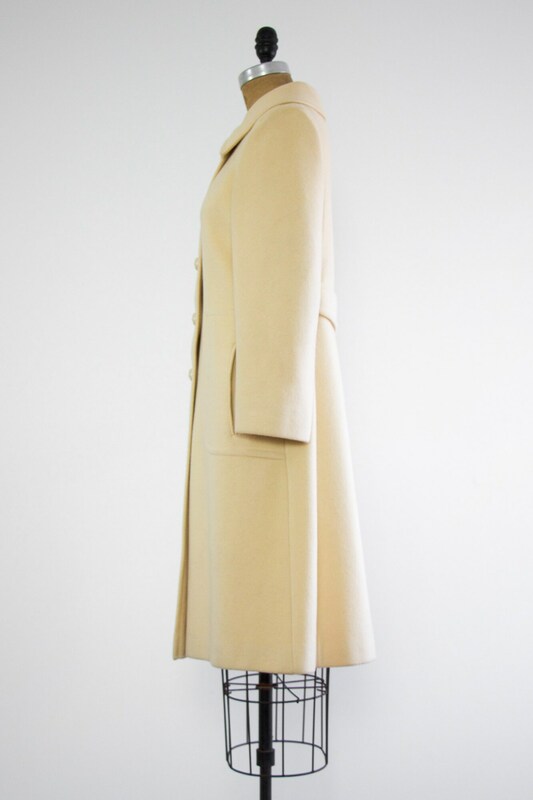 Clean lines and impeccable tailoring. 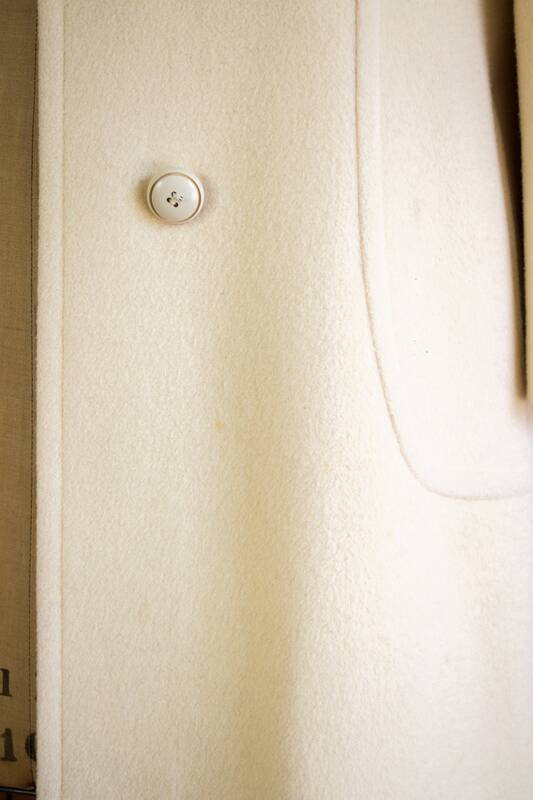 Has matching buttons down the front and two exterior pockets. 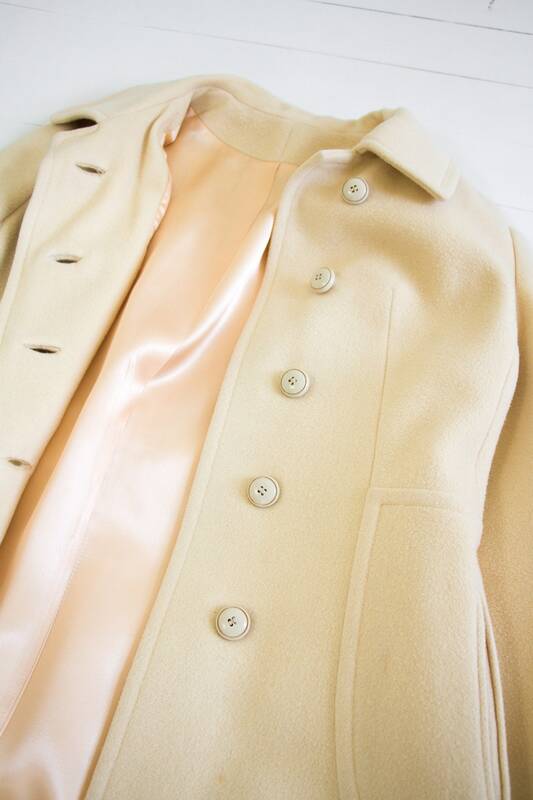 Fully lined in luxurious peach satin.